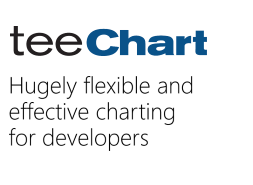 Using the .Net Version=4.1.2018.5046 of TeeChart we observe slow performance of standard operations (render, zoom etc.). As an example create 5 line series each with a million points (in a standard Winform). The time to render the plot is improved if we use a FastLine series but not significantly. When we compare performance with other similar Net charting software even with moderate size data sets TChart is significantly slower (i.e. takes 10s of seconds vs ms). We would be interested in how we could optimize the performance of the plots. Thank you Christopher for your reply. I have seen some improvement in performance after implementing your suggestions. I will discuss with my team however I think we can close this for now.